Energy – A Balanced Future Conference and Exhibition at Hardwick Hall Hotel, Sedgefield from 13th to 14th June 2018 – stand 28. 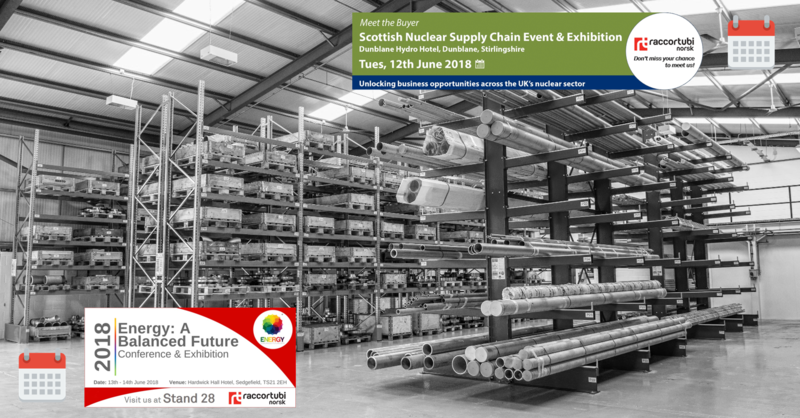 On the one hand, the nuclear market represents a considerable portion of the energy sector in Scotland alone and is expected to develop more and more across the UK over the next years, on the other, the new challenges and technologies are forcing the key players to discuss about how to best shape the energy panorama not only in the UK but also globally. Raccortubi Norsk is proud to represent the Group on such occasions where to show all Raccortubi solutions comprising the specific Nuclear applications along with the more traditional Oil & Gas and Power sectors.